Construction began the week on this year’s Serpentine Pavilion. 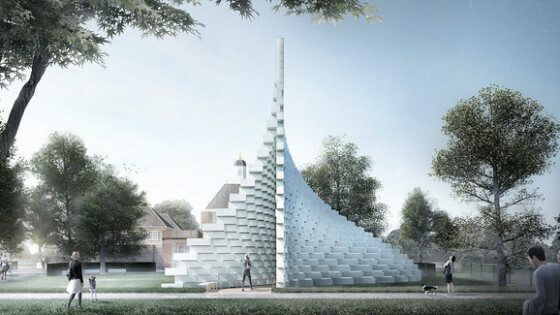 This summer the programme has expanded to include four summer houses in Kensington Gardens in addition to the Pavillion, which has been designed by Bjarke Ingels Group (BIG). The summer houses have been Kunlé Adeyemi of NLÉ, Barkow Leibinger, Yona Friedman and Asif Khan and take their inspiration from previous pavilions through the park’s history from as far as the 18th Century. The Pavilions & additional Summer Houses will open to the public on Jun, 10. For more information visit the Serpentine website.